Two alleged drug pushers were arrested in a buy-bust operation conducted by the Sorsogon City Police in a hotel late Thursday afternoon. Recovered from their possession were 5 heat sealed transparent plastic sachet containing white crystalline substance believed to be methamphetamine hydrochloride commonly known as “Shabu” and Five Hundred Peso Bill used as buy-bust money. SORSOGON CITY, 19Sept2014 (BicolToday.com) — If God permits, another Sorsoganon might become a Senator aside from Senator Chiz Escudero. COOP-NATCCO partylist Representative Anthony Bravo stood out among other 25 party-list pro-Administration coalition members when he raised the possibility of a party-list representative to join the administration Senatorial team for 2016. Among the coalition of party-list groups supporting the Aquino Administration, it was Bravo from the Bicol Region who explored the idea. Bravo’s home province is Sorsogon. This cropped up after Roxas meeting with the party-list coalition members to discuss various issues needed for legislation. The Liberal Party has been head-hunting to complete its 2016 senatorial team. Roxas is reported the Liberal Party’s horse for the 2016 Presidential race. In the opposite fence is Vice-President Jejomar Binay also eyeing for the top executive post, while other potential contenders have not yet come out in the open in the present. About 25 party-list solons attended the Roxas meeting for discussion of various issues, such as to clarify items in the 2015 DILG budget and to express support for the Grassroots Participatory Budgeting Program (GPBP). A source informed online-news BicolToday.com that COOP NATCCO party-list Rep. Anthony Bravo raised the question if Roxas consider a party-list representative to be part of his senatorial line up in 2016. Roxas responded favorably to Bravo’s idea expressing openness to party-list group’s participation in the 2016 polls, the source confided to this online news. COOP-NATCCO, a well-organized group of cooperatives nationwide has grassroots-base network of cooperatives which can deliver a sizeable bulk of the needed votes in 2016. Sorsogon City | Follow the path to Adventure! Where does the ADVENTURE begin? SORSOGON CITY, 3March2014 (BicolToday.com) – The rehabilitation of the century-old Sorsogon National High School (SNHS), a provincial landmark, was given another boost when Governor Raul Lee and multi-millionaire, foreign-based Loida Nicolas-Lewis met over breakfast at the Kapihan ni Tia Tinay early Monday morning. In an interview with BicolToday.com, Governor Lee said that they discussed the problems in normalizing the schedule of classes before the start of the school term for 2014-2015. Adding that the provincial government is ready for immediate assistance, but there must be meeting of the minds. 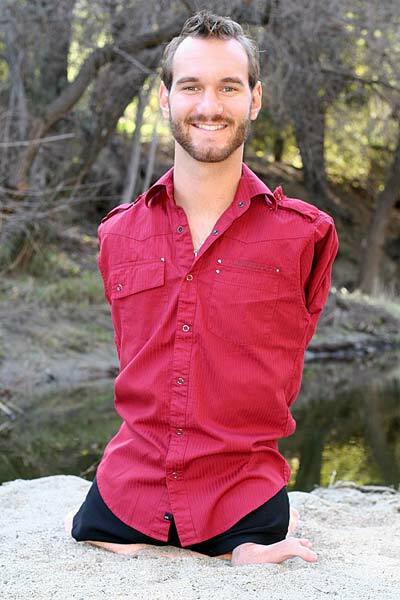 “I am still waiting for their invitation or communication, we can sit down and discussed what are the immediate needs. What is their capacity, say, the pledges that they have now,” said the Governor. He disclosed the province may opt to reduce participation in regional sports events, the savings can be used to buy lab equipment, teaching aides, books to enhance students competitiveness. There is a need to sacrifice. “The meeting was a good opportunity since a person of social standing like Loida Nicolas Lewis is willing to extend help to the school, and this should not be wasted. I need to remind and call the attention of Dr. Blanca Rempillo and her management team, the City division superintendent, the alumni, our Congress representatives, agencies of the national government to present plans, programs, activities that will have a concrete action. 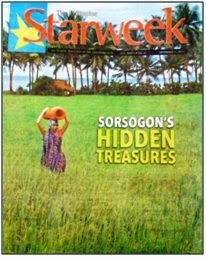 Naval, in his interview with Starweek – assumed that the province itself makes Sorsogon worth visiting, owing it to its distinct landscape and vegetation. Correspondingly, Sorsogon has made its presence felt during the Kasanggayahan Celebration last October following a successful staging of the First Mass in Luzon which took place in Gibalon, Magallanes in 1569. Its reenactment down the city’s main streets was an effort to establish an icon for the yearly-celebrated festival. Equally, the convergence of the provinces of Albay, Masbate and Sorsogon (ALMASOR) added force to the goal in making this annual event along with the province’s various potentials extensively recognized. “Sorsogon’s Hidden Treasures” underscored the fine sand and pristine water of Gubat shores, alongside its up-and-coming reputation as a new hot surfing spot; island hopping in Matnog; the marine sanctuary and mangrove forest in Prieto Diaz; Bayugin Falls in Bulusan, the Bulusan Volcano National Park – where travelers can have the pleasure of paddling around Bulusan Lake, or hike Mount Bulusan; the hot and cold mineral springs of San Benon in Irosin; and the whale shark (Butanding) interaction in Donsol, among others. With 70 percent of Bicol Region’s Pili supply coming from Sorsogon, Del Mundo’s article acknowledged the biggest and oldest Pili tree which can be found in Bacon District. On the other hand, Naval took note of the Provincial Government’s enthusiasm with its on-going plans and projects on Tourism, particularly Pilar – which is one of the latest areas being developed as a tourist destination. Last November 26 and 27, 2013 – Sorsogon hosted the Miss Earth Resort Wear Competition and Naval earlier said that such event was just one of the things that the Provincial Government is doing for the local tourism industry, and one way of promoting Sorsogon’s prospective. These sequential accomplishments were in timbre with Governor Raul R. Lee in his call to once again re-define “Development” in Sorsogon. For this year’s Regional Development Plan, the Governor called attention to the insight from the Province of Sorsogon – that it must not merely have a specific agenda, but answers, and stand on its own, constantly with a contingency plan. Aside from sustaining it with knowledge and technicality, it must subsist within the four walls of assurance. SORSOGON CITY – This October, the province of Sorsogon will again celebrate the Kasanggayahan Festival and for this year, one historical importance, marking the beginning of Christianization in Southern Bicol will be given the highlight. Different from the previous celebrations, this year’s Kasanggayahan Festival will offer local folks as well as domestic and foreign visitors a candid display of its distinctiveness as a province, being the birthplace of Christian civilization in Southern Bicolandia. Highlights of the activities for Kasanggayahan Festival 2013 will be displayed starting from October 17, the date when Sorsogon obtained official independence from the province of Albay, and will end on October 23, 2013. However, the usual month-long activities like the trade fair, art exhibits, nightly shows and the traditional “Pantomina sa Tinampo” will still be showcased. The Provincial Government of Sorsogon under the auspices of Governor Raul R. Lee spearheads the major activities for this year’s festival in close coordination with the Kasanggayahan Foundation, Inc. (KFI), the group that officially oversees the conduct of Kasanggayahan Festival since its organization in 1995. It can be noted that Gov. Lee was persistent in promoting the distinctive nature of Sorsogon by attracting more tourists to come to the province. He said Sorsogon has a lot of potentials, be it in tourism, culture and arts, agriculture and natural resources that should be given outstanding recognitions every time the Kasanggayahan Festival is celebrated. KFI President Msgr. Francisco P. Monje said that one week may be too short for a grandiose celebration of a festival, but the organizers have made it a point to haul out the distinct mark of Sorsogon “which the province and we, Sorsoganons, could proudly claim we own: the site of the First Mass in Luzon where Christianization in Bicol emanated”. The first day of the weeklong celebration will be highlighted by the Re-enactment of the First Mass in Luzon through a progressive street dance presentation from Magsaysay Street to Rizal Street going to the Provincial Gymnasium where an “Inculturated Mass” will be offered as a culmination activity. Mr. Dan Razo, in charge of the Cultural Affairs and Executive Director of the Community-Based Theater Group (CBTG) said the re-enactment will start at 3:00 o’clock in the afternoon. Fourteen “Higantes” will be portraying the role of Spaniards and villagers while a large number of street dancers will add up to the flavor of the presentation. A mini-stage and bleachers will be put up in one strategic location where guests, visitors and viewers can comfortably position themselves. “What will make the mood festive are the hullabaloos of the “Higantes” and the street dancers as well as the participation of the onlookers. Leaves, banners, and other stuff will be distributed to the crowd which they can use as they join the street presentation,” Mr. Razo said. The traditional pilgrimage and commemorative mass will still be offered in Sitio Gibalon in Brgy. Siuton, Magallanes. According to the organizers, the mass in Gibalon will not be scrapped since it is in this place that the original first mass in Luzon was held. The distinct mark of Sorsogon will be brought to the city so as to heighten awareness and encourage more participation of the public in promoting Sorsogon, as explained by the organizers. The street presentation will re-enact how the Spanish Conquistador Miguel Lopez de Legazpi, who was then based in Panay Island, dispatched sometime in 1565 to this part of the island, an expeditionary group headed by Capitan Luis Enriquez de Guzman together with their chaplain, Augustinian friar Fray Alonso Jimenez, to gather additional strength in Panay and, at the same time, evangelize the villagers they might come upon during their journey. The group came upon a small, but thriving fishing village at the mouth of the Hibal-ong River, now the Ginangra River, in what is now the municipality of Magallanes. This was Hibal-ong, or Gibalong, the very first Christian settlement in the island of Luzon and where the first Mass in Luzon Island was said to have been celebrated by Fray Jimenez. Meanwhile, based from the accounts translated from the original Spanish by Fr. Francisco Mallari, S.J., Mariano Goyena del Prado narrates that in 1569, Capitan Luis Enriques de Guzman went ashore for the first time on Bikol soil in the continent of Luzon, and for the first time also, Missionary Father Alonso Jimenez proclaimed the gospel. Late poet and historian Rev. Fr. Isidoro D. Dino, in his article, “Sorsogon: Birthplace of Christian Civilization in Southern Bicolandia,” also wrote: “At the barrio of Hibal-ong, Capt. de Guzman and Fray Jimenez put up a temporary chapel at the banks of the Ginangra River and held the first Mass on the island of Luzon”. This provides evidence that the Bicol peninsula had become a part of Christian civilization even before Manila became Christianized. Samuel K. Tan, Ph.D., former National Historical Institute (NHI) chair and executive director, recounted that after conducting initial research, data seem to imply that, indeed, Sorsogon was the site of the First Mass in Luzon. PILI, Camarines Sur, Oct. 7 (PIA) — Gemini D. Detera, a 12-year old Grade 6 pupil from Sorsogon Pilot School will represent Bicol region national on-the spot mosaic-making contest slated on October 11 in Manila after besting 12 other contenders during the 2013 Regional World Food Day poster-mosaic making contest held at the Department of Agriculture (DA) Regional Field Unit library, here. It aims to raise the awareness of the children on the importance of a sustainable food system should look like, emphasizing an ideal collaboration amongst the stakeholders and the available resources. DA Bicol regional executive director Abelardo Bragas lauded the participants and their coaches for coming up with distinctive ways of promoting the theme by using the indigenous agricultural materials like corn kernels, rice, palay, weeds, and other grains in putting a tangible image to their artworks. “I really admire the creativity of young minds. The way they conceptualize the messages of sustainability through their mosaic is really commendable. This is also one way of appreciating DA’s other programs such as the promotion of organic farming and the Gulayan sa Paaralan”, also being pushed by the national government to sustain food in the countryside,” Bragas stated. John Reynold Brioso of Iriga North Central School bagged the second place and was accompanied by his coach, Marites Cabaltera while Froilan C. Villar of Magarao Central School grabbed the 3rd place. His coach, Reynaldo Albino, including other winning coaches was also given certificates and cash prize. Detera will be joined by her coach Imelda Dellosa as she tries to beat national competitors on Friday during the national competition. The Board of Judges will select the five (5) best mosaics among the 17 regional participants. The winning mosaics will be displayed at the DA, Department of Education (DepEd) and Food and Agriculture Organization (FAO) offices and will be used as designs for the 2013 Christmas cards. The said competition was opened to all Grades IV to VI elementary pupils from any public and DepEd-accredited private elementary schools. Winners to the national level have gone through the elimination process at the school and district levels. Every year, the World Food Day is celebrated around the world in commemoration of the founding of the Food and Agriculture Organization of the United Nations in 1945. DA joins other organizations in the celebration to push a common objective of promoting food security especially in the countryside. MANILA – Sunwest Water and Electric Co (Suweco) Inc has completed tests and commissioning of its new mini-hydropower plant in Sorsogon. Jose Silvestre M. Natividad, Suweco president, last week said the company’s 600-kilowatt Cawayan Upper mini-hydropower plant is up and running. “The power plant started to generate and distribute power to Sorsogon II Electric Cooperative (SORECO II) in mid-August,” he said. The plant can generate 2.786 gigawatts per hour a year and is located in Barangay Guinlajon, Sorsogon City. The Cawayan Upper mini-hydropower project is a joint venture between Suweco and SORECO II. With the commissioning of the facility, Suweco already has three operational mini-hydropower plants with a total installed capacity of 4.2 megawatts. The two other plants are in Catanduanes. Suweco’s 8-megawatt Villasiga1 hydropower project in Bugasong, Antique is also nearing completion and is expected to be commissioned by end of this year. Suweco is part of the Sunwest Group of Companies, which is led by Legazpi-based entrepreneur and businessman Elizaldy S. Co. The place to stay in the whole of Albay is the hilltop Oriental Hotel in Legazpi City, the capital. It’s a classy, deluxe establishment in glass and metal, with white as the dominant color. The cuisine is highly recommended—local and international dishes with a distinct Bicolano flavor. The hotel (theorientalhotel.com) has a grand view of the surrounding mountains and hills, buildings and residences and, of course, iconic Mt. Mayon. The Oriental is surrounded by coconut-palm, malunggay and banana trees. An hour’s drive from the urban center is the island town of Cagraray and its Eco-Park facing scenic Misibis Bay. Features include a campsite, high ropes, the paintball game, zip line, an amphitheater (for public entertainment, sports and lectures) with a great view of the gulf plus waterfalls (but only when it rains!). Except for the much-ballyhooed, upscale Misibis Bay Casino Resort, this part of Albay has not been publicized too much and the seascape is marvelous, with clear waters, greenery all around, beige-white sand, beach coves, and stone cliffs with vegetation. There are at least two islands that the ecotourist can visit: Namanday and Pinamuntugan. There are no amenities, but you can hire a boat, picnic, swim and snorkel. And even trek. But the inclination of the terrain is just average, observed coordinator Bernard Supetran. In the remote barangay of Budiao in Daraga, Albay, are the ruins of a church buried even before the 1814 eruption of Mt. Mayon which destroyed the church of Cagsawa, leaving only its famous bell tower. What we saw now are the four walls of stones, rectangular in shape, half-buried in the ground, the windows projecting a catacombs-like atmosphere. The century and date of the eruption has not been ascertained. Calling Ambeth Ocampo and other history buffs. Local folks expressed the hope that the Salceda administration, through the Provincial Tourism & Cultural Affairs Office (albaytourism@gmail.com), could make the Budiao ruins a tourist destination like Cagsawa. Masbate (masbateprovincialtrourism@yahoo.com) has three big islands—Masbate, Burias and Ticao—and 14 smaller islands. Amidst choppy waters (prepare to get wet) you will come upon a magnificent seascape which rivals those in Northern Palawan, Caramoan, and the coastal waters of Boracay Island. We stopped by Halea Nature Park, a beach resort, and then after a wet and wild ride finally reached Ticao Beach Resort early in the evening, its lights a welcoming beacon to the drenched travelers. It was something of a surprise to find a resort like this in this neck of the woods. There are nine comfortable beachfront cottages, four standard rooms and one attic room; these are built in a classy, native style, because the resort caters to foreigners. There are horses grazing nearby (there’s a farm somewhere), and you and your children can go horseback riding. Sales and marketing director is Jessica Wong, while the manager is Rico Calleja, who looks like a Mexican with his sombrero and moustache. “This is community-based tourism,” Jessica said, citing the resort’s policy of integrating with the nearby fishing community and supporting its school. The two resort officers complained, however, about the rampant dynamite fishing in the area, and expressed the hope that local authorities would do more to curb this destructive practice. Baywatch, are you listening? There’s more to green-laden Sorsogon than butanding (whale shark) watching (it’s off-season anyway). The province is bracketed by the Albay Gulf and Sorsogon Bay, and there are mountains for trekking, dive spots, caves for spelunking, and beach resorts galore for swimming, snorkeling and skimboarding. Above all, there’s Lake Bulusan near the volcano of the same name, with hot and cold nature spring resorts (like Balay Buhay) along the way. The Sorsogon City Tourism Office (info@gotosorsogoncity.com) recently treated select media members to an exposure trip to the legendary lake. Seeing it again after 13 years, kayaking and boating with colleagues, made me recall the melancholy legend associated with the lake-volcano within a forest. It is the story of brave Bulusan and beautiful Agingay who were destroyed by the intrigues of the evil Casiguran. And the tears of Agingay and the blood of Bulusan mingled to form the volcano and the lake. And so today, when it rains here, some would like to believe that it is Agingay welcoming visitors to this lake named after her warrior husband. Guys, let’s spread the news! And what about mothers who have decided to abort or have given their unwanted babies for adoption because they were simply not ready for the responsibility—then find themselves eternally hounded by their seemingly unpardonable sin? SORSOGON CITY, May 20 (PIA) – The Commission on Election (Comelec) Provincial Board of Canvassers last Friday proclaimed the provincial level winners of the May 13 elections. Among those proclaimed were Sorsogon first district Representative Evelina Escudero who got 87,904 votes. Escudero popularly known as “Nanay Evie” is the wife of former Congressman Salvador H. Escudero III and the mother of Senator Francis Escudero. Incumbent second district Congressman Deogracias Ramos, Jr. remains undefeated with a landslide vote of 102,000 against his nearest opponent Guillermo De Castro who got 41,265 votes. For Governor, Sorsogon incumbent Governor Raul R. Lee took the lead with a total of 123,232 votes against his tough rival, incumbent Board Member Mark Eric Dioneda who got 118,889 votes, a difference of 4,343 votes. Incumbent Vice-Governor Antonio Escudero won the same position with a total of 133,745 against his lone opponent incumbent Board Member Vladimir Frivaldo who got 86,903 votes. Proclaimed winners as Provincial Board Members for the first district are Krunimar Escudero, incumbent board members Rebecca Aquino and Eric Franco Ravanilla, Roland Anonuevo and Everesto Relativo. For second District Provincial Board Member, winners are incumbent board member Renato Guban, incumbent Bulusan Mayor Michael Guysayko, Arze Glipo, incumbent board members Bernard Hao and Angel Escandor. In Sorsogon City, the Board of Canvassers also proclaimed on May 17, 2013 the newly elected officials with former Governor Sally Lee as the new city mayor who got 33,895 votes against her lone opponent, incumbent city mayor Leovic Dioneda with 32, 692 votes, a difference of 1,203 votes. Sally Lee was the first Sorsogon city mayor and served the city for two terms from 2001-2007 before she ran and won as governor of Sorsogon in 2007. For city vice-mayor, incumbent city councilor Ma. Charo Dichoso won the vice-mayoralty race with 23,282 votes taking an edge of 2,074 votes against nearest opponent former city vice ayor Edmundo Atutubo. Proclaimed as Sangguniang Panlungsod winners for Bacon District are incumbent City Councilors Inigo Destacamento and Roque Divina, Emmanuel Diolata and Hilario Dioneda; for East District, winners are incumbent City Councilor Florencio Jamisola, Jr., Atty. Joven Laura, Mary Ellen Jamisola and Ralph Walter Lubiano; and for West District, winners are incumbent City Councilors Aldin Ayo and Rogelio Jebulan, Sr., Dave Duran and incumbent City Councilor Pedro Alindogan. Meanwhile, it can be noted that canvassing for the provincial level was four times reset after Bulan town and Sorsogon City failed to transmit the election returns. Chairman of the Provincial Board of Canvassers and election supervisor Atty. Calixto Aquino, Jr. said that the compact flash (CF) cards including the back-up cards of precinct counting optical scan (PCOS) Machines for Barangays Balete and Sampaloc in this city and Barangay Beguin in Bulan town malfunctioned causing the non-transmittal of over-all results from the two areas. Board of election inspectors (BEIs) have to wait for the replacement of CF cards from Manila before they are able to continue with the Sorsogon City and Bulan municipal canvassing. The slow delivery of the new CF cards also added to the delay of transmission. Following the receipt of CF cards on May 16, 2013, Sorsogon City transmitted the election returns to the Provincial Board of Canvassers at 10:15 PM of the same date while Bulan was able to transmit 15 minutes past midnight. Earlier, 13 municipalities have already proclaimed their respective newly elected mayors as follows: Barcelona – incumbent Mayor Manuel Fortes, Jr.; Bulusan – incumbent City Councilor Domingo Halum; Casiguran – incumbent Mayor Ma. Ester Hamor; Castilla – unopposed incumbent Mayor Olive Bermillo; Donsol – Josephine Alcantara, daughter of former re-electionist Mayor Jerome Alcantara who died before election; Gubat – Roderick Co; Irosin – incumbent Mayor Eduardo Ong, Jr; Juban – Antonio Alindogan; Magallanes – incumbent Vice-Mayor Augusto Manuel Ragrario; Matnog – incumbent Mayor Emilio Ubaldo; Pilar – incumbent Mayor Dennis Sy-Reyes; Pto. Diaz – incumbent Board Member Benito Doma; and Sta. Magdalena – incumbent Mayor Alejandro Gamos. Bulan was the last municipality to proclaim its new elected officials with incumbent Vice Mayor Marnelli Robles as the new mayor. Team Ecotastic4 of the Gubat National High School in Gubat, Sorsogon became the first ever winners of the RedBullution, a contest open to group of high school and intercollegiate students in the Philippines which aims to find alternative, innovative, student-designed conservation solutions to address the problem of solid waste management. Four students from a coastal town in Sorsogon who designed a solution to address sewage waste from their public market to the shore were declared the winners of the recently-concluded RedBullution 2012, a national environmental competition sponsored by Red Bull Supreme Energy Drink and World Wildlife Fund. Shown are students Hernalyn Camania, Joanne Stephanie Joven, Kristine Mae Esparas and Kimberly Hermo along with Red Bull Supreme Energy Drink Business Unit head Adolf Alvarez (leftmost) and brand manager Vanessa Villariza. The two-part competition was held from November 2012 to April 5, 2013. The last round saw finalists present their project proposals to a panel composed of Gaby dela Merced, RedBullution Ambassador and youth advocate; Romi Garduce, RedBullution ambassador and mountain climber; Joel Palma, WWF vice president for programs; and Paolo Pagaduan, WWF project manager for sustainable development. Before this, RedBullution held roadshows in several universities and colleges with Senator Aquilino Pimentel III, Dela Merced and Garduce as speakers for the solid waste management advocacy. The winning entry by Ecotastic4 proposed a sewage waste system to manage the waste coming from the public market and local eateries that drain straight to the shore. The students said their coastal town depends largely on fishing, and sewage waste can be a future source of serious concern for it can contribute to the spread of red tide or pose a problem for marine animals, which may result in the loss of livelihood. At least 8,000 people have been stranded at Sorsogon Port since Friday due to delays caused by a damaged ramp that lets vehicles board roll-on-roll-off (RORO) vessels, the National Disaster Risk Reduction and Management Council said Saturday night. In its 8 p.m. report posted on its website early Sunday, the NDRRMC said the damaged ramp had been causing delays as early as Friday. The NDRRMC said that as of Saturday night, there were 8,041 stranded passengers, 333 trucks, 98 buses and 69 cars in a queue that stretched six kilometers from the port. “The number of stranded passengers and vehicles continue to increase,” it added. So far, the NDRRMC said the Philippine Ports Authority’s port manager requested help from the Philippine Navy. It asked the Navy to send a Landing Ship Tank, a “civilian equivalent” of a RORO vessel, to expedite the transport of passengers and vehicles. MANILA, Philippines (3nd UPDATE) — The New People’s Army (NPA) claims responsibility over the May 10 ambush on the Special Weapons and Tactics (SWAT) team patrolling for the elections in Sorsogon City. At least 3 SWAT men were injured in the incident. “The ambush was NPA’s way of retaliating the intensified counter-insurgency operations of the military during the election period. The NPA vows more offensives,” said the rebel group in a statement. The policemen had just finished patrolling Sitio Bato, Bacon District when they were ambushed at 4:45 pm, Friday. The SWAT men wounded were Chief Inspector Juancho Ibis, PO2 Nelson Dioquino, PO1 Eric Elquiro, and a still unidentified officer, said police regional spokesperson Renato Bataller. Reinforcement troops were sent to the area. Rehabilitation cost of Bacon-Manito plants to hit $100m — EDC. Energy Development Corp., a unit of First Gen Corp. and the largest geothermal company in the Philippines, said Friday the rehabilitation cost of the 150-megawatt Bacon-Manito geothermal plants in Bacon, Sorsogon and Manito, Albay will reach $100 million. EDC president Richard Tantoco said the company had already spent $78 million since the company acquired the Bacon-Manito facilities. “We’ve spent $78 million already. If we have to replace turbines of unit I and II, that’s another $25 million for two [units], so we will have to spend $100 million, including the cost of unit III rehabilitation,” Tantoco said. The Bacman geothermal power plants consist of unit I (55 MW), unit II (55 MW) and unit III (20 MW). “Unit I is running and if it clears inspection now before elections, we will run it and inspect it after a longer period, maybe 60 to 90 days, and if it clears 90 days, we will keep it running,” Tantoco said. He said unit III was running at the pre-commissioning stage. “Unit III, when this was under Napocor, suffered damage due to flood and landslide. It was underwater for three weeks so its two big components, the turbine and generator, [were] completely eroded,” he said. Tantoco said the company had ordered a generator due to arrive next year. He said the Bacman geothermal plants should deliver P4 billion to P4.2 billion worth of revenues and P2.8 billion in net income. RENEWABLE energy resource developer Sunwest Water and Electric Co. (SUWECO) will begin operating a 600-kilowatt (kW) mini hydropower plant in Sorsogon City in June, the company said in a statement. SUWECO said that the Cawayan Upper mini hydro project, which is located in barangay Guinlajon in Sorsogon City, is 81% complete and is expected to be commissioned by June. The P80-million power facility, which should generate 2.786 gigawatt per hour every year, will contribute to the power supply demand of Sorsogon province. The statement cited the latest demand data from Sorsogon II Electric Cooperative, Inc. (SORECO II), which shows that the province has a total peak demand of 12.406 megawatts (MW). The said mini hydro project will be jointly operated by SUWECO and SORECO II. 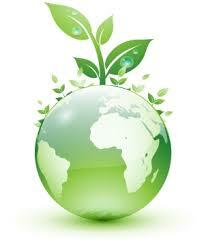 SUWECO is responsible for rehabilitation and development of the said project. “SUWECO’s priority is to develop the hydro potentials and to help electric cooperatives to rehabilitate and improve on their existing generating capacities,” SUWECO President Jose Silvestre M. Natividad said in the statement. “We develop projects regardless of size as we believe that in unison these small projects will provide a big contribution to our communities through all the direct and indirect benefits brought about by our projects to our host communities, thus we provide window for a better way of life and better future where communities coexists with a vibrant ecosystem,” Mr. Natividad added. SORSOGON CITY, March 11 (PIA) — The Department of Trade and Industry (DTI) provincial office here in coordination with the Provincial Gender Advocacy Council (PGADC) intensified its promotion of GAD and women empowerment in the province through a mini-trade fair and skills competition open to aspiring Sorsogon women entrepreneurs specifically in the marginalized sectors. As member of the PGADC, the DTI under the leadership of provincial director Leah Pagao led the activity. Glenda Goingo, DTI’s GAD focal person, said that as women are once again highlighted this March, they have prepared activities that will enhance and promote the entrepreneurial skills of Sorsogon women especially from the marginalized sector, and at the same time help augment their livelihoods. Dubbed, “Barakalan asin Patiribayan sa Kapitolyo sa Bulan nin mga Kababayihan,” the activity which will be held on March 14-16 at the kasanggayahan Village, Capitol Compound, Sorsogon City, will also be a venue to showcase and promote the locally-made products of Sorsogon’s micro, small, and medium Enterprises (MSMEs). “It will feature an array of environmental friendly local crafts and food as well as agricultural products developed and made by our very own women,” says Goingo. The skills competition that will held on the first day will showcase identified skills on “Pagsalad sin bayong (bayong weaving)” and “pagtilad sin pili (pili shell cracking)” to stir the entrepreneurial awareness and cultural appreciation on the essence of Women’s Month in line with the promotion of culture and tradition of the province. Buyers can take pleasure of the local MSMEs products from the trade fair huts that will be mounted near the Provincial Tourism Compound. Products to be sold will include include handicrafts, processed foods/native delicacies, agri-products (fruits and vegetables), organic products, ornamental plants, and health and wellness products. The three-day selling period will be from 9 a.m. to 7pm. “We have encouraged the local governments to select the best entry as contestant in their area to stimulate province wide participation. And because our main objective to this activity is to highlight our women’s entrepreneurial skills and showcase our locally made products, we deemed not to collect any participation fee,” Goingo articulated. SORSOGON CITY, Feb. 25 (PIA) — For the past two years, the Provincial Veterinary Office (PVO) has recorded a very significant decrease in rabies incidence in Sorsogon with barely five human and six canine cases as compared to the data way back in 1999 with about 39 cases. This is good news for Sorsogon, however, it is irrefutable that rabies remains a serious public health problem in the country, as the Department of Health (DOH) says. To put a halt to this, the provincial government of Sorsogon, through the Provincial Veterinary Office (PVO), forged partnership with the Global Alliance for Rabies Control (GARC), a world leading organization working towards the global control of rabies. “The provincial government, under the auspices of Gov. Raul R. Lee, is enormously determined to achieve a rabies-free Sorsogon and we want the communities here to have an improved educational awareness to prevent exposure to rabid dogs, and likewise, eliminate or control the source of infection in dog and human population,” said Dr. Enrique Espiritu, provincial veterinarian. He said that through the Communities Against Rabies Exposure (CARE) Project of GARC, the coordination of surveillance, molecular epidemiology, dog population model control, veterinary and public health system protocols will be facilitated. Furthermore, the incidence of public health problems associated with dogs as vectors will significantly be reduced. ”At present, most of the human cases we have recorded here were not actually bitten by dogs in Sorsogon. But just the same, we need not to be lax, massive dog vaccination is still needed because it is cost effective and sustainable in controlling rabies rather than those other interventions aimed only at humans,” he stated. He also added that more dogs are getting vaccinated in Sorsogon and they are hoping that eventually, the local government will be able to vaccinate 70 percent of the 52,121 dog population all throughout the province within the targeted time frame. In an effort to further intensify the implementation of the Provincial Anti-Rabies Elimination Program, the provincial government tapped the Sangguniang Kabataan (SK) of the 541 barangays in Sorsogon as volunteer vaccinators. “We found the SKs to be effective partners in the program implementation because aside from being vaccinators themselves, they can influence their peers and family members, and as our future leaders, it is good that at an early age, we are exposing them to the severity of this deadly infectious disease,” Dr. Espiritu said. PVO record shows that 3,655 dogs have been vaccinated in Sorsogon City in just a span of less than three weeks since they oriented the SKs last January 28, 2013. Dr. Espiritu also reported that some 100 rabisin vials were initially distributed to the towns of Irosin, Donsol, and Magallanes while distribution to other municipalities is ongoing. The PVO is also expecting accomplishment reports from the said municipalities a month after the vaccination. Espiritu also mentioned that LGUs in the province have their respective anti-rabies ordinances and some of them were already amended. However, the local chief executives struggled with the implementation due to budget constraints. Nevertheless, with the partnership now and the inspiration brought by the success story of the anti-rabies program in Bohol, both the provincial government and GARC are optimistic that the same success can be achieved in Sorsogon, targeting a sustainable rabies-free province by empowering communities to take responsibility as well as develop and share adequate mechanisms for sustainability. Meanwhile, to strengthen the program, Governor Raul R. Lee issued an Executive Order (EO) Number 002 Series of 2013, which allows the ratification of the ordinances in Section 7 (Pet Owners’ Penalties) of the Republic Act 9482 or the Anti-Rabies Act of 2007 and created a task force to intensify the implementation of anti-rabies program in the province. Likewise, the provincial government entered into a memorandum of agreement (MOA) with GARC represented by its Coordinator for Asia, Dr. Mary Elizabeth Miranda, to achieve a rabies-free Sorsogon. Local chief executives of Bulan, Prieto Diaz, Bulusan, and Barcelona immediately signified support to the said MOA which also provides for trainings to be conducted by the PVO for their respective youths. The League of Municipal Mayors of the Philippines (LMP)-Sorsogon Chapter President and Barcelona Mayor Manuel Fortes, Jr. also encouraged its members to participate in the noble task and ensure compliance with the mandates of the governor’s directives. “Moving towards a rabies-free Sorsogon, the CARE program also strengthens the Information, Education and Communication (IEC) Campaign by coming up with tarpaulins, posters, and billboards installed in strategic places across the province. We have also produced and distributed flyers and leaflets translated into two versions, one for the Sorsoganons of the first district and another for the second district,” said GARC Communication Officer Dane Medina. Medina further stated that aside from this, the program also educates the communities on how to stay safe around animals, danger signs to look for, what to do in case of a bite, and guidelines for good pet stewardship. “But in the event that dog biting cannot be avoided, the bitten individual can manage bite incidence like washing the wound with soap under running water and consulting a doctor or seeking the nearest Animal Bite Treatment (ABT) Center in their locality,” she also added. CASTILLA, Sorsogon Feb 27 (PIA) — A sea turtle locally known as “pawikan” measuring 29 inches length and 27 inches width was caught by a fisherman and brought to the 903rd Brigade headquarters on Friday, February 22. 903rd Bde Spokesperson Capt. Mardjorie Paimela P. Panesa, said The turtle was brought to the headquarters by Eugene I. Gilliam, a Bantay-Dagat member, who also reported that it was seen captured by a certain, Welard Camata, a fisherman in the same town. “Immediately, we reported the incident to the Municipal Environment and Natural Resources Office (Menro), Bureau of Fisheries and Aquatic Resources (BFAR), and Provincial ENRO-LGU, the primary agencies concerned for recovery and release of marine species as such. Our brigade assisted them in releasing the turtle at the seaport of Brgy. Poblacion, Castilla, Sorsogon,” said Capt. Panesa. She also said that no BFAR tag was seen in the turtle, an indication that it was captured and released for the first time. However, since there was no available tag at that time, BFAR instead tied a plastic knot at the lower part of the turtle’s shell for marking purposes. Colonel Joselito E. Kakilala, 903rd Brigade commander said, it was the first time he saw a pawikan caught since he was installed as brigade commander. He reminded local residents, especially those residing in the coastal barangays of Castilla to immediately report and inform concerned agencies or report to the 903rd Brigade once they catch marine turtles. LEGAZPI CITY (27-Feb-2013/PNA) – The rehabilitation of the south rail track is currently on its finishing touches, making the Philippine National Railways (PNR) confident that it could soon resume train trips between here and Manila. A recent test run on the Naga-Legazpi route proved successful and PNR general manager Junio Ragrario said in a statement reaching here Wednesday that construction crewmen are fast-tracking the works so that southbound trips ending here are resumed by next month. Apart from the Legazpi-Manila operations, Ragrario said the PNR is considering the fielding of train trips between Naga and this city for the benefit of the burgeoning volume of local commuters being generated by the fast-growing trade, commerce and tourism relations between these two cities of Bicol. “We are fielding two ordinary three-coach trains each with a seating capacity of 240 and well-ventilated seats designed for comfortable travel,” he said. The recent test run, he said, established that a one-way train trip between Naga and Legazpi takes one-and-half hour, which is more than an hour faster than an ordinary bus plying the same route through the Maharlika Highway. Besides, according to Ragrario, local ordinary train trips would charge only P82 in fare for a complete trip, which is cheaper by about P50 than bus fares. “We are doing all these pursuant to the government’s commitment to the total rehabilitation of the railways and provision of safe, cheaper and convenient alternative to the riding public,” he stressed. “We are therefore appealing to settlers along the railway in this route or in any area where PNR trains operate to strictly observe the three-meter clearance provided along both sides of the track. We have been constantly reminding them on this for their own safety,” Ragrario added. Rehabilitation of the PNR south facilities from Calamba City in Laguna to this city covering a distance of 483 kilometers, which was allotted an amount of P35.15 billion, was started in 2005 and scheduled for completion by 2011. The project, however, suffered a major setback when super typhoons “Milenyo” and “Reming” successively battered Bicol in 2006, rendering crippling damages on the railways between Naga City and here. Plans then to restore the Legazpi trips were shelved even as the Naga City-Manila trips were maintained intermittently. In 2011, the administration of President Benigno Aquino III pushed for the resumption of the rehabilitation of the damaged Bicol section of the railways which was eventually completed up to Ligao City, Albay, a year after. Manila-Ligao trips were restored in early December last year with Albay Governor Joey Salceda expressing optimism during the inaugural run that rehabilitation works for the railway line down to here would be completed at once so that trains would be once more seen traversing its original route deep into the central point of Albay. Train trips, famously called Bicol Express, have been an important component of the regional economy because of its contributions to trade, tourism and transportation, Salceda noted. The governor said that with the imminent restoration of train trips to Legazpi, trade activities would greatly improve as products from Albay and manufacturers from Calabarzon and Manila would use the railways, thus, this would result in cheaper products, freight cost and fast travel time. “Rail transport is the cheapest while exerting competitive pressure on the other forms of transportation by increasing supply,” Salceda said. He also noted that the rail transport is government-subsidized up to 70 percent anywhere in the world in order to equalize opportunities for the rural countryside and promote tourism as well. For tourism, Bicol Express also offers a different and distinctive perspective of the countryside to tourists both domestic and foreign as it gives unrestricted view of Mayon Volcano surrounded by the rich greenery of Bicol farmlands, he added. “With Bicol Express, passengers have all travel options–rail, road or air options–between Albay and Manila and the rest of Luzon,” Salceda added. According to Ragrario, the resumption of the Legazpi trips “closes the loop” linking the North and South Rail project. He said the refurbished coaches from Japan being used by the PNR for the Bicol Express and Mayon Express offer comfort to passengers with a line of first-class coaches, sleepers’ coaches, economy coaches, restaurant, and cargo coaches. PNR is now using five coaches for the Bicol Express that accommodate 300 passengers per trip. Of these five coaches, four are sleeper cabins and the other one is for reclining seats good for 60 passengers, Ragrario said. PNR dispatches two trips through the route daily—the Bicol Express that leaves Ligao City for Manila at 6:30 p.m and the Mayon Limited at 8:30 p.m.
Mayon Limited has two types of trips–the De Luxe that is scheduled on Mondays, Wednesdays and Fridays, and the ordinary during Tuesdays, Thursdays and Sundays. Mayon Limited De Luxe, which is an air-conditioned cabin and with reclining seats, charges a fare of P717 while the ordinary, P344. Bicol Express, on the other hand, collects P416 from its economy passengers, P548 for reclining seats, P665 for sleeper and P998 for executive sleeper. Students and senior citizens are entitled to 30 percent discount. The restoration of PNR trips between Bicol and Manila, Ragrario said, proves that trains remain an important component of the mass transportation system in the route for its being more economical, convenient and safe. cessful product that society requires.. From young, I came from a below average family. I was told by the media… and people around me that happiness is about success. And that success is about being wealthy. With this mind-set, I’ve always be extremely competitive, since I was young. — with Eve Ying, Khoo Chai Soon, Thomas Lau Yun Guan, Saranraj Sinniah, Jane Janey and Kyra Kaisya. Please Share it to your friends let them be aware!!! LEGAZPI CITY, Oct 1 (PIA) — An upcoming group of young visual artists will launch today their first major art exhibition as one of the longest running event and highlights of this year’s Kasanggayahan Festival of the Sorsogon province. “Guihapon; An Pagsid-ip (Again: Looking Through) is the title of our multi-disciplinary art exhibition participated by at least 18 artists from Sorsogon, Albay and Manila-based Sorsoganon artists with their works on canvas, sculpture, installation art, poetry and photography,” Kurit-Lagting Art Director Geri Matthew Carretero said. Founded in 2002 and reconvened in 2010, Kurit Lagting is a group of Sorsoganon visual artists and educators who advocate multi-disciplinary art making as their collective agenda in the local art scene. Participating artists are Jay Jamoralin, Frances Abrigo, Arnel Lositaño, Ervie Villanueva, Joseph Bausa, Allan Abrigo, Marigrace Carretero, Amelita Bernal, Gerald Jintalan, Res Demdam, Gilbert Catabian, Glenn Sentes, Jasper Fisalbon, Rudy Corral, John Estipona, John Lerry Dig, Gerd, Gojar, Maricar Ocleana, Jose Vicente Garcia Jr. and Geri Matthew Carretero, who also acts as the exhibit curator. Also participating are members of Gubat Photographers Club and fine arts students of Aquinas University of Legaspi. Kurit Lagting is the newest member organization of the Sorsogon Arts Council under visual arts discipline. “The opening cocktails happen today at 5 p.m. and the formal opening and ribbon cutting will be on October 8 at 10:30 a.m. with Kasanggayahan President Msgr. Francisco Monje and Sorsogon Museum and Heritage Center Chairman Fernando Duran as guests of honor,” Carretero said. NAGA CITY, Philippines—Two soldiers were killed and four others were wounded in a firefight between government troops and suspected communist rebels in a remote village in Bulusan, Sorsogon on Thursday, the military said. The military claimed five rebels died in the firefight but the National Democratic Front in Bicol, in a statement sent by text message, claimed there was no casualty on their side. Major Angelo Guzman, public information officer of the Army in Bicol, said the clash occurred at around 10 a.m. in the far-flung Barangay San Isidro and involved around 45 suspected members of the New People’s Army. He said killed were Pfc. Romy Dacuro, who died on the spot, and Pfc. Michael Bigay, who was pronounced dead on arrival at the Sorsogon Doctors Hospital. Guzman identified the critically wounded as Pfc. Jaypee Retardo who was immediately airlifted by the Philippine Air Force to the V. Luna Medical Hospital in Quezon City. The three other injured soldiers were brought to the SDH were declared out of danger. They were Cpl. Rolando Cruzado, Pfc. Gilbert Llandelar and Pfc. Ryan Royales, all of the 31st Infantry Battalion. Major Harold Cabunoc, deputy spokesperson of the Army, said in a phone interview that soldiers led by Lt. Abdul Hamid Salik were sent to check a reported communist camp in San Isidro when the 20-minute firefight erupted. He said Salik reported that at least five rebels died in the clash and their bodies carried away by their retreating comrades. Greg Bañares, National Democratic Front Bicol spokesman, in a text message Friday however, maintained no one died among NPA cadres involved in the firefight. Cabunoc, quoting Col. Theody Toribio, commanding officer of the 31st IB, said the NPA rebels were in an advantageous point as they were positioned at a higher ground when the firefight occurred. “My men were approaching the bushy portion of the area in Sitio Kaprikunan when they were met with fires, triggering an intense gun battle,” said Toribio, as quoted by Cabunoc. Col. Felix Castro Jr., commander of the 903rd Infantry Brigade in Sorsogon, said they were fortunate their request to immediately airlift Retardo was made possible. Guzman said the rebels involved in the clash were an “elite force” of the NPA who were using at least four machine guns. (Updated 7:47 a.m.) – Sorsogon Rep. Salvador Escudero III, the father of incumbent Sen. Francis Escudero, passed away in his Quezon City house before dawn Monday, the office of the House Secretary General said. Rep. Escudero, 69, died in his sleep after battling cancer for two years, a text message from the office of House Secretary General Marilyn Barua-Yap confirmed. His remains will be brought to the Mt. Carmel Church in New Manila in Quezon City on Monday afternoon, the House Secretary General added. Rep. Escudero died at about 3:30 a.m., radio dzBB’s Nimfa Ravelo reported. The dzBB report said Sen. Escudero thanked those who offered prayers for the family, and asked the public for more prayers. A separate report by dzBB’s Rowena Salvacion quoted House majority leader Neptali Gonzales II as saying Escudero was a “big loss” to the House of Representatives. The Philippine flag at the House of Representatives in Quezon City is to fly at half-mast to mourn his death. The report said the elder Escudero, despite his failing health, even attended President Benigno Aquino III’s State of the Nation Address last July 23. At the time, the report said Escudero was wheelchair-bound and had to be assisted when boarding his vehicle. Escudero’s page in the House of Representatives website indicated he chaired the basic education and culture committee and was a vice chairman of the food security committee. Rep. Escudero had been part of the legislature from 1984 to 1986. He was reelected to the House of Representatives from 1987 to 1998. He again won as a congressman during the 2010 elections. SORSOGON CITY, July 27 (PIA) — The Department of Public Works and Highways – Sorsogon 2 District Engineering Office has stepped up the cleaning of structures obstructing all road-right of way (RROW) along national primary and secondary roads. District Engineer Jake Alamar urged maintenance engineers to remove objects that impede the RROW, including permanent infrastructure projects of barangays and local governments, were ordered demolished. These structures include utility posts, buildings, houses, shanties, stores, shops, sheds, posts, canopies, billboards, signage, advertisements, fences and amusement places that are deemed hindrance and could obstruct safe passage of vehicles and pedestrians, said Alamar. He added that pedestrians using sidewalks and shoulders are exposed to roadside accidents, thus, measures ensuring the public’s safety must be intensified. SORSOGON CITY, Sorsogon, July 11 (PIA) — The provincial government of Sorsogon is now getting ready for the implementation of the Payapa at Masaganang Pamayanan (Pamana) projects in the province. Sorsogon Governor Raul R. Lee said the Provincial Planning and Development Office (PPDO) has already prepared the list of Pamana priority projects and its needed budget for this year. The second phase of the Pamana projects this year will again be on track as follows: For Barcelona town, water system and river control project; Casiguran, concreting pavement of Calayugan-Burgos Farm to Market Road; Gubat, concreting pavement of Union-Sangat Farm to Market Road; Juban, concreting pavement of Caruhayon-Tinago Farm to Market Road and of Lower-Upper Calmayon; Magallanes, Eco-tourism project (Phase II) which includes Parola Beach, Bucalbucalan Spring Resort and Sta. Lourdes Grotto, establishment of evacuation center and post-harvest facility with mechanical flatbed dryer; while in Pto. Diaz is concreting pavement of Gogon-San Rafael Farm to Market Road. The projects were allocated with P5 million each, amounting to P40 million, including the establishment of a provincial agricultural facility, the cold storage and cold chain facility in Brgy. Abuyog, Sorsogon City. Assistant Secretary Romulo B. Halabaso represented the Office of the Presidential Adviser on the Peace Process (OPAPP) and formally turned over 10 out of 12 completed 2011 completed Pamana Projects in Sorsogon to the respective local chief executives and its direct beneficiaries on July 4. Data from the Armed Forces of the Philippines (AFP) in 2009 said that Sorsogon was identified as one of the priority provinces because of the heavy presence and activities of the New People’s Army (NPA) with 114 conflict affected barangays (CAB) in seven municipalities. Pamana started in Sorsogon by conducting a road-mapping on February 4, 2011 in preparation for the implementation of Pamana projects for 2011. On February 9 of the same year, Lee issued an executive order creating the Pamana Technical Working Group (PTWG) that will lead the over-all supervision, management and implementation of the Pamana program in the province. Lee initiated anew the re-organization of the PTWG this year in preparation for the implementation of the second phase of Pamana projects in Sorsogon. The PTWG is composed of the Office of the Governor, Department of Public Works and Highways Districts 1 and 2, Philippine Army, the Philippine National Police, Department of Education, Department of Social Welfare and Development, Department of Environment and Natural Resources (DENR)-Provincial ENR Office and the Department of Interior and Local Government acting as the secretariat. Amid protests against the implementation of the Aquino administration’s K to 12 program, the House committee on basic education and culture will continue to push legislation institutionalizing a 12-year basic education cycle. Basic education and culture committee chairman Sorsogon Rep. Salvador Escudero III, said the technical working group (TWG) formed to consolidate three bills establishing a 12-year basic education cycle will continue its work. “The opposition to the K to 12’s implementation is normal. But this won’t in any way affect the work of the TWG,” he told the Manila Bulletin in a phone interview. Escudero cited the need to pass the measure, saying the Philippines remains on the list of countries that includes Angola and Djibouti still using a 10-year basic education cycle. “When are we going to be ready? We are lagging behind our neighbors,” Escudero said. The TWG comprises members from the Escudero’s committee and from the House committee on higher and technical education chaired by Aurora Rep. Juan Edgardo Angara. It is consolidating three K to 12 measures authored separately by Escudero, Speaker Feliciano Belmonte Jr. and and Alliance of Volunteer Educators (AVE) party-list Rep. Eulogio Magsaysay. “We are targeting to pass the measure and transmit it to the House committee on rules to have it scheduled for plenary debate next month,” he said. He expects that the consolidated measure to be passed by House before the 15th Congress ends on June 2013 with President Aquino’s support. Last month, Escudero’s and Angara’s respective committees agreed to form the TWG to consolidate the K to 12 measures on the motion of Negros Oriental Rep. Pryde Henry A. Teves. There is a need to institutionalize a 12-year basic education cycle, pressed on the need to pass a bill institutionalizing the DepEd program because foreign employers prefer graduates who had a “global standard” education, said Escudero. “I met delegates from Thailand, they are Agriculture graduates. They were being pressured by employers to reduce their salaries because they only finished a four-year course. Many OFWs are on the same boat and they have been working in Thailand in the past nearly two decades,” he said. He said if the Congress fails to pass the measure, many OFWs will also suffer the similar fate. SORSOGON CITY, May 19 (PIA) — In time for the opening of classes for school year 2012-2013, the Department of Trade and Industry (DTI) will conduct a “Diskwento Caravan” on May 23 to 24 to more than ten barangays in Bacon District, this city. Dubbed “Diskwento Caravan: Balik Eskwela Edition,” DTI-Sorsogon provincial director Leah Pagao said the activity aims to provide opportunity for parents and students to avail of products sold at discounted prices. Pagao said they will offer not only school supplies but also food items which the buyers can keep and make as packed snack of the students while in school, this is why we encourage parents and students to take this opportunity in order to save a big amount of money. “We have also clustered some barangays by combining smaller ones to nearby big barangay and made the latter as the caravan venue to give the buyers longer opportunity to wisely choose the items they are going to buy,” said PD Pagao. She also said that they have already coordinated with the officials of the target barangays for the wide dissemination of information to their constituents, and have also coordinated with the barangay police to maintain peace and order while the activity is going on. “We also call on the public to help us disseminate the information so that those interested residents can, early as this time, coordinate with their respective barangay officials to know smaller details on where they will go and how they can avail of the products to be offered during the conduct of the said caravan,” Pagao also said. The “Diskwento Caravan” will make rounds on the following schedules: May 23 – Barangays San Roque, Maricrum, Balete, Cabarbuhan, Poblacion and Caricaran, while on May 24 the caravan will be in the barangays of Bonga, Salvacion, Sugod and Bon-ot. Six big establishments here will participate in the caravan where each one will have representatives to guide the buyers while shopping. THE joint House Committees on Higher and Technical Education and on Basic Education and Culture have consolidated proposals seeking to institutionalize the Aquino government’s Kindergarten to Grade 12 program which mandates an additional two years of schooling for all public school students. Sorsogon Rep. Salvador Escudero III, chair of the House Committee on Basic Education and Culture, said the joint panel, was rushing the approval of the proposed measures in response to the Department of Education’s newly launched K +12 program because of President Benigno Aquino III’s ‘enthusiasm’ to have it implemented the soonest possible time. 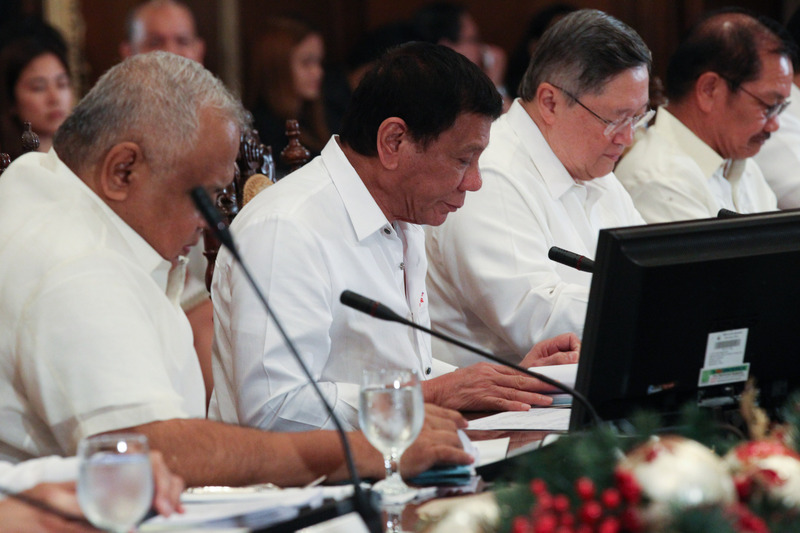 “The President is very much interested in this,” Escudero said at a hearing conducted by the joint panel. Escudero underscored the need to pass a law institutionalizing the DepEd program, saying that some foreign employers preferred graduates who had a ‘global standard’ education of 12-year basic schooling. The ALMASOR TA complements another Bicol regional tourism cluster already in place — the CCCTL or the Catanduanes-Camarines Sur-Camarines Norte Tourism Link. Albay Gov. Joey Salceda has spearheaded the organization of the ALMASOR TA only recently and signed an agreement of group cooperation with Masbate Gov. Rizalina Seachon-Lanete and Sorsogon Gov. Raul Lee. The alliance is a pioneering concept in tourism promotion strategy. Salceda, who chairs the Bicol Regional Development Council (RDC) said the alliance was initiated to ensure a stronger and more cohesive tourism campaign among the three provinces, which all have their inherent world class tourism potentials that needed better market positioning and promotion. “I have initiated this strategic approach to accelerate tourism development and enhance the attractiveness of Bicol as a tourist destination,” said Salceda who is also president of the organization of all RDC chairs in the country. He said the cluster needs the completion of several priority projects for its external market access including the P 3.6 billion Southern Luzon International Airport in Daraga, Albay to be finished in 2014; the Modernization of the South Railways under the DOTC with the South Central Station in Comun, Camalig, Albay and spur lines to Legazpi City and to Matnog, Sorsogon; the proposed four-lane Naga-Legazpi freeway system, which will link CCTL with ALMASOR, the proposed P250 million Mayon International Convention Center; and, the P278 million Albay Sports Center in time for Albay’s hosting of the 2015 Palarong Pambansa. Tourism Secretary Ramon Jimenez Jr. has recently approved a P1.4-billion tourism support infrastructure package for Albay — the P440-million Cagraray Circumferential Road in Bacacay town, and the P870-million road that directly links Libon, Albay with Donsol, Sorsogon, home to the world famous Butanding or sperm whale. Sorsogon — Bicol pili industry is processing more pulps and kernels to keep up with the demand of the market. The sector was pioneered by an agriculturist and entrepreneur, the provincial high-value crop commodity coordinator, said. “It was started by a colleague, Ms. Minda Yee, who is known for the Leslie Pili Products,” Narciso Cayetano, agriculturist, said, noting that production of pili oil grew in the last two years. “We produced 300 liters of pulp oil per month in 2010 and increased to 400 liters this year and may double or triple our production if machine will process,” Minda Yee told Manila Standard. She began producing pili delicacies in 1995 and extracting pili oil in 2000. Bicol represents 61 percent of raw pili produce in the country, Dolores Ricafranca, Department of Agriculture-Regional Field Office Superintendent, said. The demand for pili oil is expected to rise as virgin coconut oil has been observed to be weakening in the market. Typhoons, drought, and pest that paralyzed production of coconut in large volume may have affected virgin coconut oil, according to Philippine Coconut Authority. “Reming, Milenyo, drought, and brontispa have caused 50 percent drop in the coconut yield and might have affected virgin coconut oil,” Alejandro Olaguera, PCA division chief, said. Yee said her clients consist of makers of health and vanity products led by Rosalina Tan, even as the oil is finding its way into spas and therapeutic salons in the national capital region, Iloilo and Baguio. “Only last December, Tan bought 1,000 liters of pili oil,” Yee said, which was confirmed by Trade department officer here. Pili oil sells at P600 per liter. It is also packed in bottles–150 ml at P100, 250 ml for P200, and 500 ml at P350. Scented pili oil is also available in mint and aroma of flowers and favored for its anti-oxidant effects and to restore color of graying hair, remove dandruff, moisturize skin, and has curative effects on skin disorders. It can be also be used for salad dressing, manufacture of sardines, shortening, baking of cakes, and other food preparations. SORSOGON CITY, May 11 (PIA) — Around 115 participants and guests composed of national officers from the National Prosecutors League of the Philippines and prosecutors from across the Bicol region register to the 3rd Bicol Prosecutors Convention, which started Tuesday and to last until today, May 11. Provincial Prosecutor Regina Coeli Gabito said participants, visitors and guests were warmly welcomed by Sorsogon Governor Raul R. Lee himself along with other high-ranking officials in the province. “The convention is actually an annual activity of the prosecutors, specifically here in Bicol where we have an active and well-organized group, the Bicol League of Prosecutors, and for this year, our province serves as the host,” said Fiscal Gabito. She also said that the primary purpose of the convention is to update the prosecutors of the current issuances of the Department of Justice (DoJ), brainstorming on their works as prosecutors, and at the same time socializing and harmonizing with their co-prosecutors in the whole Bicol region. DOJ Sec. De Lima and Prosecutor General Claro M. Arellano of the National Prosecution Service are among the expected guest in the event but due to hectic schedules, they were not able to make it. De Lima is set to testify in the impeachment trial of Chief Justice Renato Corona from May 9 and 10, while the latter left for Hongkong to present a paper on anti-corruption in the international justice community, Gabito added. The first day was highlighted by the Corporate Planning and Management Conference as per the Memorandum of the DoJ Secretary dated March 2, 2012 and a dinner, fellowship and socials with Gov. Lee and wife former governor Sally A. Lee. Gabito said that she also took the opportunity to introduce the province of Sorsogon to the prosecutors who are also appreciable of the different tourism sites and products which place offers and among the areas to be visited on the second day, May 10, are Barcelona for its ruins and world heritage site, Bulusan for Bulusan Lake, and Gubat for its beaches and resorts. The Department of Trade and Industry (DTI) Sorsogon has also put up a stall at the lobby of the Bulwagan ng Katarungan for the entire duration of the activity displaying the local products to give way for the local traders and business establishments to earn during the event. A fellowship through a short program with City Mayor Leovic Dioneda and city officials at the Sorsogon City Hall in Brgy. Cabid-an will be held today. Also, submission to the members and ratification of the Proposed Constitution and By-Laws of the Bicol Prosecutors League will be made with Deputy Regional Prosecutor Jose Demosthenes at the forefront. The convention will be culminated with a visit to the residence of Senator Francis Escudero in Brgy. Buhatan, Sorsogon City, wherein the senator is expected to deliver a message to the prosecutors. THE 2012 Jr. NBA Philippines came to a successful end over the weekend with the naming of the members that make up this year’s Jr. NBA All-Star team, led by kids from Manila and Cagayan de Oro. After five months of selection which started with the school clinics then progressed to the regional training camps that took the program to Puerto Princesa in Palawan, Cagayan de Oro, Pampanga and Manila, Jr. NBA Philippines, presented by Alaska Powdered Milk, came up with the 10 best campers after the culminating national training camp held from May 3 to 5 at the University of the Philippines, Diliman Gym and the Music Hall of the Mall of Asia in Pasay City. Four Manilans, three from Cagayan de Oro and one each from Puerto Princesa, Pampanga and the Alaska Power Camp bested a field of 50 kids, aged 10 to 14, who topped their respective regional selection camps. The selected 10 were Aljun Jay Melecio, Camillus Altamirano, Patrick Ramirez and John Roald Mayor from the Manila Regional Training Camp; Lui Besa, Felixberto Jaboneta and Arnie Padilla from the Cagayan de Oro camp; Paul Dagunan from the Puerto Princesa camp; Antonio Jeffrey Coronel from Pampanga and Regille Kent Ilagan from the Alaska Power Camp in Manila. The kids make up the 2012 Jr. NBA Philippines All-Star Team and will be gifted with a once-in-a-lifetime NBA experience and the chance to travel abroad to play against a counterpart Jr. NBA Team. This year’s three-day national training camp was conducted under the guidance of NBA legend and three-time champion Luc Longley of the Chicago Bulls, Jr. NBA clinician Chris Clunie and Alaska assistant coach and Philippine Basketball Association legend Jojo Lastimosa along with other regional coaches. During the boot camp, participants had to do a series of basketball drill, skills tests, stamina challenges, competitive games and fun games which were all meant to test their physical, mental, emotional and spiritual strengths, which formed the basis for one’s selection to the All-Star Team. Meanwhile, Coach Alan Ayo of ABC Ideas of Sorsogon City and a city councilor was chosen as the 2012 Jr. NBA Coach of the Year. The Jr. NBA Program is the leading youth basketball program in the US that serves existing recreational youth basketball leagues through support programs for players, coaches, parents and officials. Apart from advanced basketball instructions, the program also teaches valuable life skills, including the Jr. NBA S.T.A.R. values of Sportsmanship, Teamwork, a positive Attitude and Respect. LEGAZPI CITY, May 7 (PIA) — Now on its eighth year in the Bicol region, the Kapit-Bisig Laban sa Kahirapan – Comprehensive Integrated Delivery of Social Service (KALAHI-CIDSS) program of the Department of Social Welfare and Development has been expanding its coverage in alleviating poverty and empowering communities. According to KALAHI-CIDSS regional social marketing officer Jesseshan Manilla, the program has already reached 20 new municipalities. The said municipalities are located in five provinces in the region namely Camarines Sur, Camarines Norte, Sorsogon, Masbate, and Catanduanes. KALAHI-CIDSS is the government’s flagship poverty-alleviation program, extending assistance to poor local government units (LGUs) whose approved projects are directly managed, supervised, and monitored by the villagers themselves. To concretize the three-year implementation of the program in the said areas, DSWD deployed KALAHI-CIDDS coordinating teams collaborate with the municipal and barangay LGUs who in turn expressed their full support and commitment in their own unique way. In Prieto Diaz, Sorsogon, one of the new municipalities covered by the program, community leaders affixed their signatures corresponding to the name of their respective barangays while in Gubat, Sorsogon, everyone placed polychromatic hand prints on a white canvas, Marbella pointed out. Warm welcome was likewise expressed by members of the youth, elderly, NGOs, and LGUs from the municipal and barangay levels during the program in their localities particularly during the opening ceremony, municipal orientation and MOA signing executed between DSWD and LGUs. Based from the KALAHI-CIDDS National Project Management Team (NPMT) Year-end Report, KALAHI-CIDDS increased the labor participation, boosted residents’ interpersonal trust in government officials, raised household membership in organizations and improved household access to basic social services, Marbella added. BARCELONA — Children in this seaside town brave sun and rain to gather day-old crabs to eke out a living. At low tide, they gather crablets that sell for 75 centavos to P3 a piece to local buyers in Sorsogon for delivery to Pampanga and other regions where they are processed and sold as a gourmet food. Imelda Romanillos, Labor provincial officer, said state policy prohibited child labor. In case the children failed to attend their classes, will the parents face criminal charges? “We will go to the place, not to reprimand, but assess the situation to base the safety nets on and offer help,” Romanilos said. Chief Insp. Roque Merdegia, also a lawyer, agreed with the labor office. “There is no violation of the labor law except when parents use coercion and expose the lives of children to danger,” he said. Darzy Gacosta, a resident, commended the self-supporting kids doing a decent job. “They would rather (work) than steal for food,” she said, noting that a crablet gatherer averaged about 30 pieces in summer and as many as a hundred during the cold months. Aldrin, 11, said the fruits of his labor went to good use. Elementary schools Principal Liza Salonga said work could distort priorities for the young.